The percentage of adults in India involved in starting a business has grown to the highest it’s been in almost three years, while the percentage of adults who say they expect to start a business in the next three years increased from 7.7% in 2014 to 9.2% in 2015. However,the percentage of adults who view entrepreneurship as a desirable career choice fell in 2015 (from 58% the year before). Over a third of adults who start a business do so out of necessity, rather than to pursue an opportunity. Only 3.5% of entrepreneurs expect to create six or more jobs over the next five years – one of the lowest rates among the 60 countries measured by GEM. Despite this, about half of all entrepreneurs report that they have innovative services or products. The major constraints on entrepreneurship in India are government regulation and policies, entrepreneurial education and the transfer and commercialisation of research and development (R&D) into new know-how and technologies. The major enablers include government support (ranked fifth out of 60 countries), access to entrepreneurial finance (ranked second) and cultural and social norms (though fear of failure remains high, at 44% of adults according to GEM) towards entrepreneurship. Less red tape: A number of measures will be put in place to make it easier to do business as a start-up. These include a three-year tax exemption for start-ups, a three-year exemption from labour and environment inspections, subsidised patent applications, relaxed state procurement norms and a faster process that will allow a start-up to close down in 90 days. Start-ups are also able to register their businesses via an app and interact with the authorities via an online portal. Funding support: A $1.5 billion government venture capital (VC) fund in the form of a fund-of-funds will invest in registered VC funds. It will add to a fund-of- funds launched in August 2015 by the state. A $75m credit guarantee fund will also be available. Business support: The government also aims to hold start-up festivals to among other things connect investors and startups, and establish more incubators while incentivising the private sector to do the same by covering part of the set-up costs. It also in the process of building innovation centres at training institutes of technology and launching an innovation fund for students. Tax breaks: In May 2016 the government inserted an amendment in the country’s Finance Bill to exempt investors that invest in start-ups from paying capital gains tax on the sale of capital assets for start-ups – provided that they hold shares of an unlisted company for more than two years. In addition the Indian government has also launched two complementary schemes – Stand up India and Micro Units Development and Refinance Agency (Mudra) bank. Stand Up India, also launched in January 2016, obliges every bank branch across India to fund at least one woman and one person from the weaker section of the society, described as a scheduled caste/ tribe member, with loans of up to 10 million rupees. The Mudra scheme, launched in April 2015, provides loans of up to $15,000 to business owners via banks and other participating institutions. In the 2015/16 financial year, banks disbursed over 34.8 million loans (just over a third of which went to new entrepreneurs) worth $19.7 billion to micro enterprises. Furthermore, the Ministry of Rural Development has initiated the Start-up Village Entrepreneurship Programme to create sustainable self-employment opportunities for a rural youth. The programme will also attempt to bring banks and financial institutions closer to village entrepreneurs. The government has also set up the Atal Innovation Mission (AIM) – an innovation promotion platform involving academics, entrepreneurs, and researchers. An initial sum of $22 million has been earmarked by the government for the platform, which will draw upon national and international experiences to foster a culture of innovation. A new Ministry of Skill Development and Entrepreneurship has been formed which aims to create an enabling ecosystem for entrepreneurship development through policy guidelines, capacity building, handholding, mentoring and supporting research and publications. The Ministry has planned shortly to launch a national project called “Pradham Mantri Udyamita Yojang” (Prime Minister’s Entrepreneurship Scheme) which aims at promoting business and social entrepreneurship across the country. In a June 30, 2016 progress report the government noted, that it had set up the Startup India Hub to resolve queries from start-ups. The hub has been able to resolve over 12,000 queries by telephone, email and Twitter, since its launch on April 1. Proposals have been received to set up seven new science parks, 16 business incubators and 13 start-up centres. In addition the promised $1.5 billion government venture fund-of-funds has been set up and will be managed by the Small Industries Development Bank of India (Sidbi). Up to June 2016 Sidbi had approved $138 million in funding from its $300 million fund-of-funds it launched in August 2015 to support venture capital funds for start-ups. In June, in response to the low number of successful applications for incentives available under the programme (just seven start-ups had qualified for incentives from 571 applications between April and June 2016), the Department of Industrial Policy and Promotion announced it would overhaul the initiative. Among other things the department planned to introduce workshops, drop some requirements and speed up the processing time of applications. India’s start-ups are growing thanks to a booming domestic market hungry for new services. A 2015 report by India’s IT association NASSCO ranked the country’s number of start-ups behind only the US, the UK and Israel, while another study from the same year reported a 100% growth in the number of private equity investors, venture capitalists and angel investors and a 125% growth in funding last year over 2014. However, India’s entrepreneurs are still constrained by a shortage of skilled workers, according to a recent survey, as well as by poor infrastructure, red tape and low internet adoption. Because of this many start-ups are forced to register abroad to avoid complex regulations in the country. The 2017-18 GEM Report completes its 19 years of measuring entrepreneurship-related activities. The study had a noble mission of generating globally-comparative data of entrepreneurial activity. It helped identify factors determining national levels of entrepreneurial activity as well as policies aimed at enhancing entrepreneurial activity. It measures entrepreneurship through surveys and interviews of various field experts, conducted by the teams at respective countries. The GEM survey generates a variety of relevant, primary information on different aspects of entrepreneurship and provides harmonised measures about individuals’ attributes and their activities in different phases of venturing (from nascent to start-up to established business and to discontinuation). The GEM Report 2017-18 covers results based on 54 economies completing the Adult Population Survey (APS) and the National Expert Survey (NES). 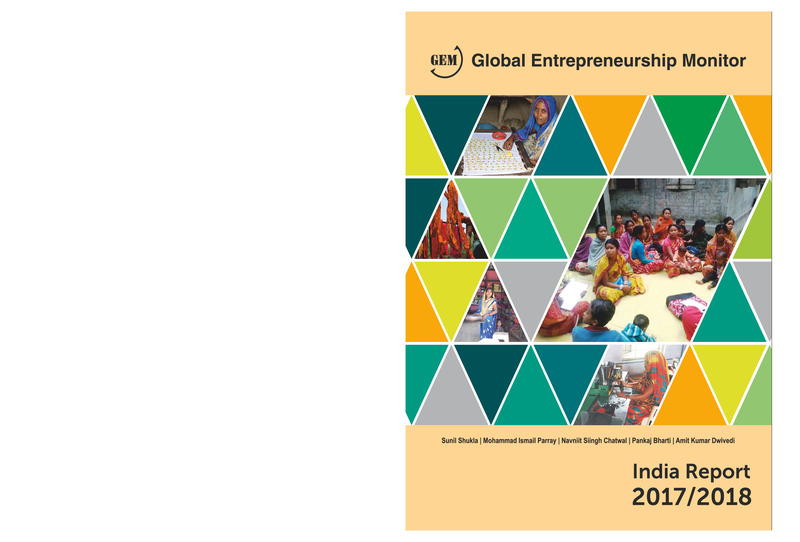 The report provides insights into entrepreneurial activities in India. The GEM India study was conducted using a well-established GEM research methodology, consistent across all participating countries, thus enabling a cross-country comparison. The APS was conducted with 4000 respondents. Questions were based on generating information regarding the level of entrepreneurial activity in this country based on the national framework conditions, whereas, the NES was conducted on 72 national experts. The NES in India focuses on the entrepreneurial ecosystem, and with regard to the nine entrepreneurial framework conditions. 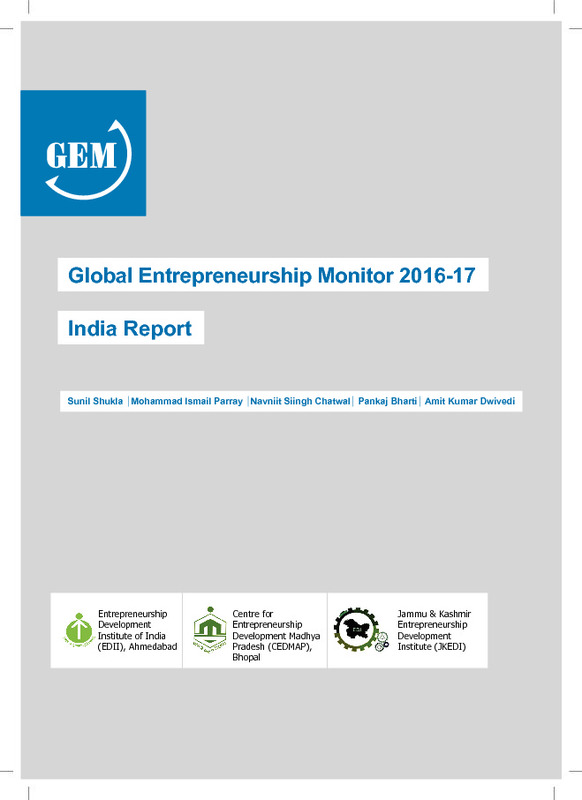 The GEM Report 2016-17 completes its 18 years of measuring entrepreneurship-related activities . The study has a noble mission of generating globally comparative data of entrepreneurial activity . It helps identify factors determining national levels of entrepreneurial activity as well as policies aimed at enhancing entrepreneurial activity . It measures entrepreneurship through surveys and interviews of various field experts, conducted by the teams in their respective countries . The GEM survey generates a variety of relevant, primary information on different aspects of entrepreneurship and provides harmonised measures about individuals’ attributes and their activities in different phases of venturing (from nascent to start-up to established business and to discontinuation) . The GEM Report 2016-17 covers results based on 64 economies completing the Adult Population Survey (APS) and 65 economies completing the National Expert Survey (NES) . The report provides insights into entrepreneurial activities in India . The GEM India study was conducted using a well-established GEM research methodology, consistent across all participating countries, thus enabling a cross-country comparison . The APS was conducted among 3,400 samples, which provided information regarding the level of entrepreneurial activity in their country, based on the national framework conditions, whereas the NES was conducted on 72 national experts . The NES in India focused on entrepreneurial ecosystem, also with regard to the nine entrepreneurial framework conditions . 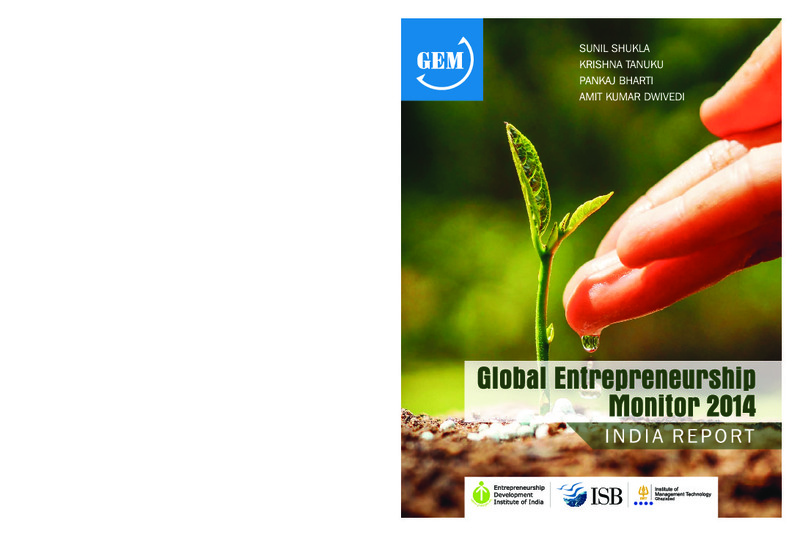 In 2015/16, Global Entrepreneurship Monitor (GEM) study completes 17 years of the journey to create knowledge on entrepreneurship around the world. The study has a noble mission to generate globally comparative data to understand the entrepreneurial activity. This would help identify factors determining national levels of entrepreneurial activity, as well as policies aimed at enhancing entrepreneurial activity. It measures entrepreneurship through surveys and interviews of field experts conducted by the teams in the respective countries. The GEM survey generates a variety of relevant primary information on different aspects of entrepreneurship and provides harmonised measures about individuals’ attributes and their activities in different phases of venturing (from nascent to start-up, established business, and discontinuation). This 2015/16 GEM report covers results based on 60 economies completing the Adult Population Survey (APS) and 62 economies completing the National Expert Survey (NES). 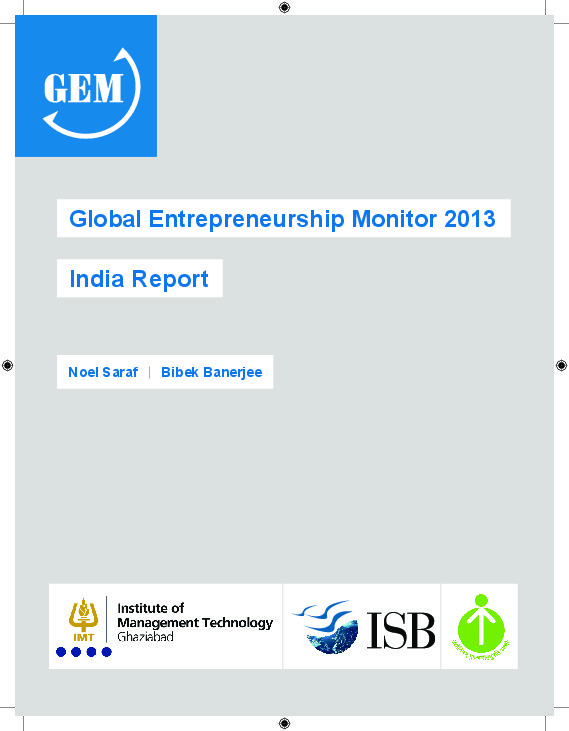 The present report provides insights into entrepreneurial activities in India. The GEM India study was conducted using a well-established GEM research methodology that is consistent across all participating countries, thus enabling cross-country comparison. The APS was conducted among 3,413 samples and provides information regarding the level of entrepreneurial activity in the country based on the national framework conditions, whereas the NES was conducted on 72 national experts with an average age of 41 years. The NES focuses on entrepreneurial start-up environment in India with regard to nine entrepreneurial framework conditions (EFCs). GEM Study 2014 found that in India,4.1 per cent of adults are “nascent entrepreneurs” (actively involved in setting up a business), while 2.5 per cent are “new business owners” (in operation for more than 3 months but less than 42 months). Combining both these rates gives us the Total Early-stage Entrepreneurial Activity (TEA) rate, meaning that 6.6 per cent of the Indian adult population—or 1 in every 14 adults—is engaged in some form of early-stage entrepreneurial activity. The National Experts’ Survey reveals while the Indian economy is dynamic and the overall business climate good, there is a need to develop entrepreneurship on the margins of society to achieve inclusive growth. Furthermore, to improve levels of business sustainability, systems of entrepreneurial education, training, and development must be put into place. Comparing the perceptions among male and female respondents, fear of failure, which prevents individuals from starting a business, is similar (51% for males and 48% for females). However, female respondents have lower scores on perceived capabilities (43%) and perceived opportunities (41%) than their male counterpart.